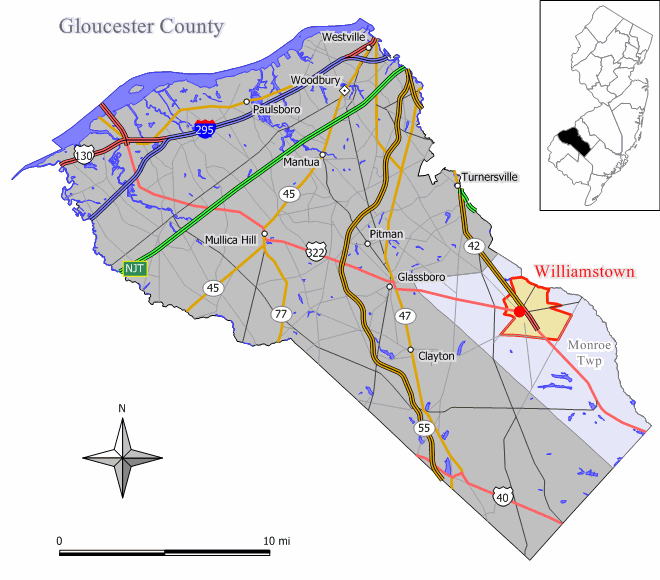 Williamstown NJ Real Estate Info will help you learn all about this area in Gloucester Co and its schools. The very popular highway Rt 322/42 (Atlantic City Expressway) goes through Williamstown and it also has a small active airport. It is pretty much surrounded by Monroe Township and that is the "official" governing body for the area and schools.